Amazon organizes Amazon Quiz daily from 8AM – 12PM and offers huge prizes everyday. By just answering 5 simple question, you can stand a chance to win that prize. In today’s Amazon Quiz, you can win a Sony Home Theatre. So, don’t miss out on this free chance. How to Answer and win a Sony Home Theatre? Earlier, we posted about how to get free Rs 1000 Amazon Pay Balance. And here is another offer for you to get a free BookMyShow voucher. 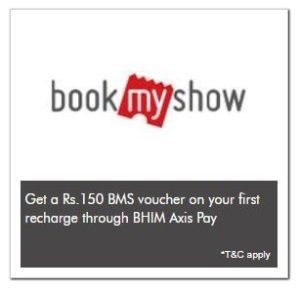 BHIM Axis Pay has come up with an offer wherein if you do a recharge (no minimum amount) through their UPI address in their app, you’ll get a free Rs 150 BookMyShow Voucher. Note : To Stay updated on such offers, click on the bell icon at bottom right corner. How to Get a Free Rs 150 BookMyShow Voucher? 1. Download BHIM Axis Pay App from here – Android | iOS. Amazon organizes Amazon Quiz daily from 8AM – 12PM and offers huge prizes everyday. By just answering 5 simple question, you can stand a chance to win that prize. In today’s Amazon Quiz, you can win a Samsung Galaxy smartwatch. This feature rich watch is sold on Amazon at Rs 25,990. So, don’t miss out on this chance. 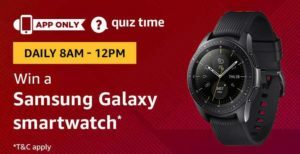 How to Answer and win a Samsung Galaxy smartwatch? Amazon organizes Amazon Quiz daily from 8AM – 12PM and offers huge prizes everyday. By just answering 5 simple question, you can stand a chance to win that prize. In today’s Amazon Quiz, you can win a Fossil Explorist smartwatch. This watch actually has an MRP of Rs 19,995 on Amazon. So, try your luck. 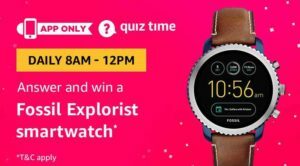 How to Answer and win a Fossil Explorist smartwatch? Peter England is one of the largest menswear brands in India. It manufactures quality apparels and is no doubt one of the finest in the market. With that being said, how would you like an offer on this brand? Amazon is offering quite a huge deal. 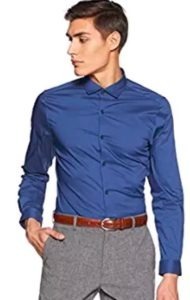 You can buy Peter England Shirts at minimum 50% discount. So, hurry up. Grab the deal before all the product are gone. How to Buy Peter England Shirts at minimum 50% discount? 1. First of all, go to Product List Here. Amazon organizes Amazon Quiz daily from 8AM – 12PM and offers huge prizes everyday. By just answering 5 simple question, you can stand a chance to win that prize. In today’s Amazon Quiz, you can win Rs 500 Amazon Pay Balance. Also, 100 winners will be announced. So, chances of winning is very high. So, don’t miss out on this free chance. How to Answer and win Rs 500 Amazon Pay Balance? UC Browser had been in headlines for really long because of its data breach risks. But even that hasn’t reduced popularity of this browser amongst Indian Market. To stay popular, UC Browser launches various offers every now and then. Today, we are here with a similar offer. Get unlimited free Paytm recharge code worth Rs 75 & Rs 50 Paytm Cash per refer (redeemable @ Rs 500). It’s similar to VMate Offer which we posted a few weeks back. 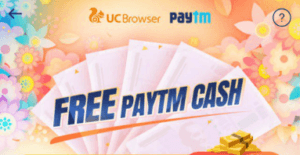 How to Get unlimited free Paytm recharge code worth Rs 75 & Rs 50 Paytm Cash per refer? 1. 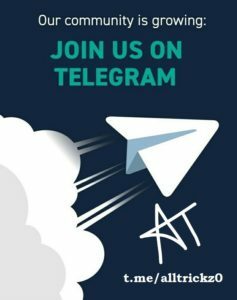 First of all, open the given link in your phone browser – Click Here.